The green ice pops in my review of Stars Wars Ice Sabers Cookbook? Those were a wild idea I had recently. 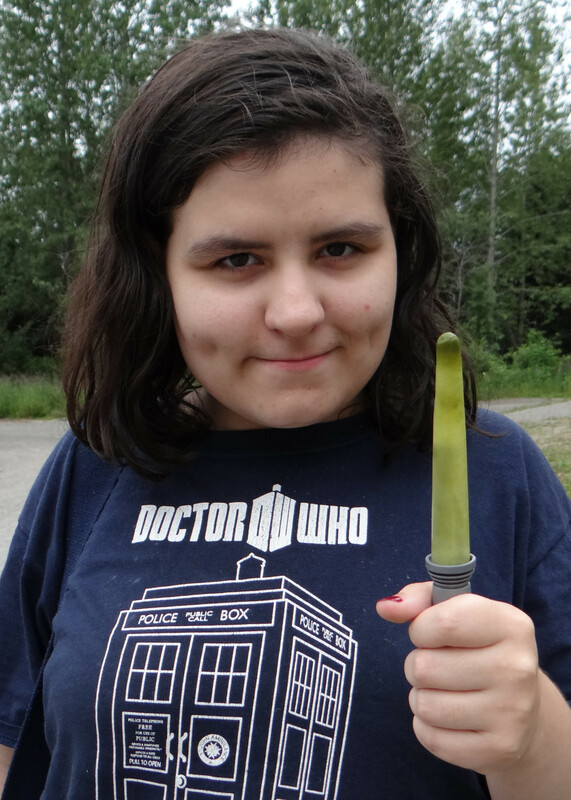 I was thinking of making a mint tea ice pop for the super refreshing and cool taste of mint. But I wanted them to be green, but naturally green. Which made me think of matcha green tea. Matcha is a finely ground green tea that has a few varieties available. For things like this, you are looking for culinary grade. It adds nice flavor, and a great green color. The much more expensive ceremony grade matcha should be appreciated properly on it's own, and not as an ingredient. Check your local Asian grocery or if your supermarket is very well stocked, it might be available there. The ice pop mold I used has cavities that take about 2 tablespoons of liquid. Check the volume of your mold, and adjust recipe to fit. 1 Tbs honey! That's why they have kind of a murky- Yoda like color. The honey I used is a local produced darker honey that I love. Strain out the mint, or take out the tea bag. Apply pressure to the leaves or tea bag to get out as much liquid as possible. Add a pinch of matcha powder, and using a small whisk, whisk it well. If you want it a little greener, add another pinch of matcha. Use a funnel to pour the liquid into your molds, and freeze until solid. It's an unusual flavor, but it's really good and just as refreshing as F5! I do recommend planting mint. 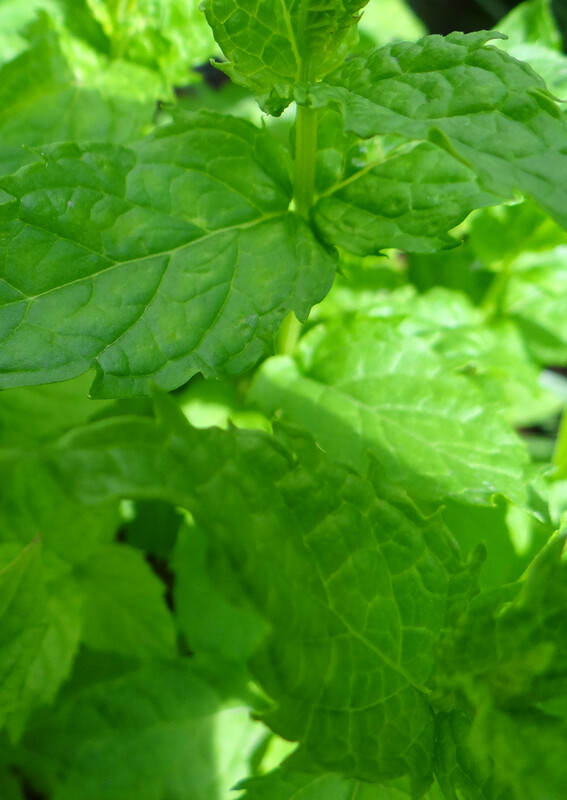 Even if you have the blackest thumb in creation, it's hard to kill mint. I have a little corner of my yard that's dedicated to mint. Mint likes to take over so it's best to plant it in containers, or have it walled in someway.